What is Super Gaijin Ultra Gamer? Golden Week! A few days off in the middle of the busiest two months of the year in Japan – very well planned (sarcasm), but these days off are definitely for a good reason. Actually, I have no idea what Golden Week is for, but anything that gives me a few spare days must be good – even at this time of the year. So what to do? A Hard-Off road trip of course! Based on feedback in a previous post, I will be supplying links with GoogleMaps locations to all the places I visited. Some of these places were far better than others, but almost every single place had something worth grabbing. Only problem is, I went to so many places that it’s now difficult to remember what came from which, so this means I will just supply a list at the end of this post of all of them. Another thing worth noting is that many of the Book-Offs I visited (and included in the links for you there) had Comp-Offs attached, and Comp-Offs are becoming the better places to go (over Hard-Offs that is). Having Comp-Offs attached to Book-Offs but not displayed as such online makes life difficult, and it was luck that lead me to many of these. Normally I wouldn’t just hunt the Book-Offs in this kind of trip. The Book-Off links I have given you all have Comp-Offs attached, and a few of these are epic places to visit! The first gear grabbed came from a Book-Off that had a Comp-Off attached. Like I said Comp-Offs are tending to be the better places these days for game hunting, but they aren’t always advertised online. Although I didn’t pick up all that much from here, there were great selections of games and hardware for reasonable prices – it’s just a pity I had most of them already. Amazingly in the current retro climate, the prices were good on these. 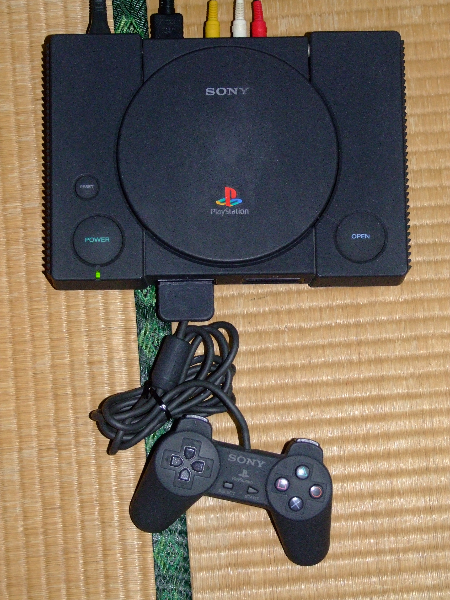 The V-Saturn (or Victor Saturn) controller was only 400yen, the PCE controllers were 500yen each, and the NeoGeo AES controller was only 1500yen. I did manage to get a couple of PCE titles from this place as well, but they ended up in a picture with other gear from another place. 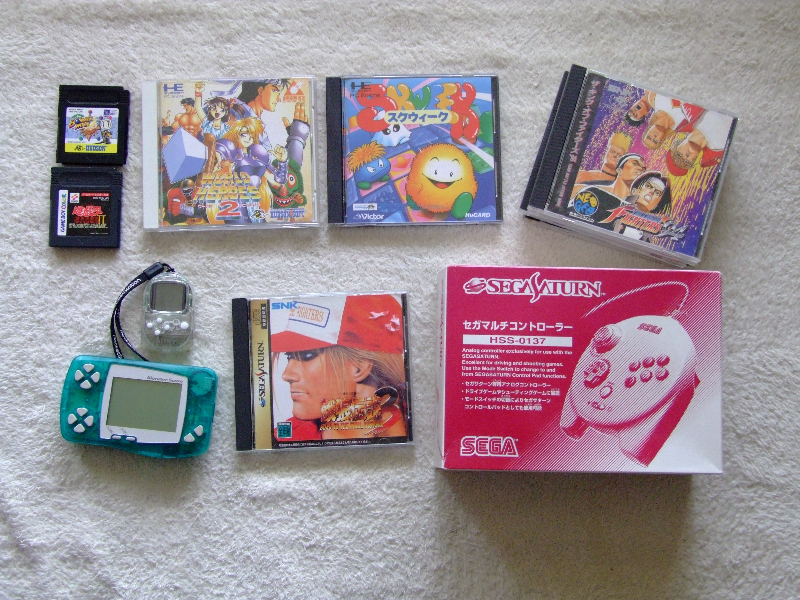 The PCE titles were 400 yen each, which is great for the two titles I grabbed. There was so much here though, including boxed PCE gear, and a tonne of ‘junk’ SuperFamicoms. This bunch came from one of the Hard-Offs. I wish I could be more specific than that, but I went to so many that they kind of blurred in one… I think the grand total was 5 Hard-Offs and 3 Comp-Offs in the end. I also stopped in at many Book-Offs as well on the trip, but Book-Offs are really becoming quite poor for gaming pickups of the retro variety (unless they have Comp-Offs attached that is). 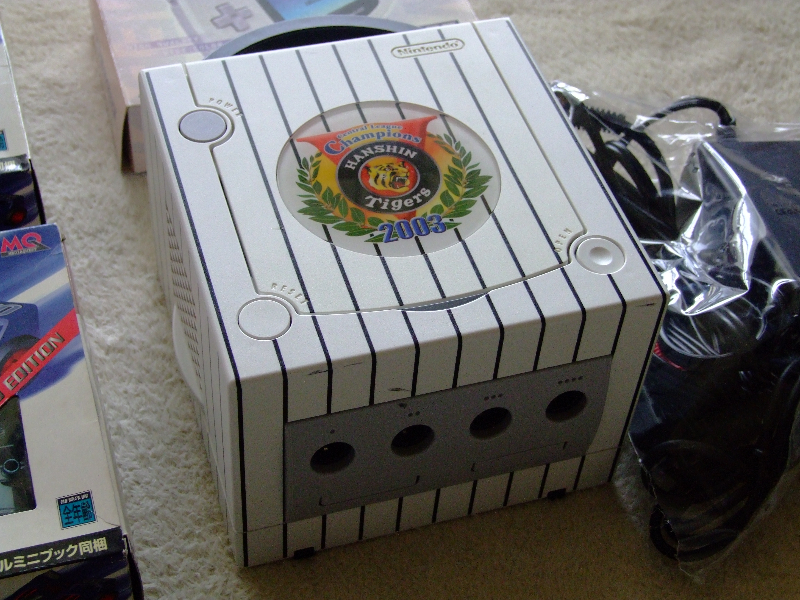 The pick of the bunch is of course the Hanshin Tigers Gamecube. It was sad that there wasn’t a controller with it, but beggars can’t be choosers right? This lot also came from one of the Hard-Offs, and although there isn’t a heap of gear there in my pile, this Hard-Off had a LOT! 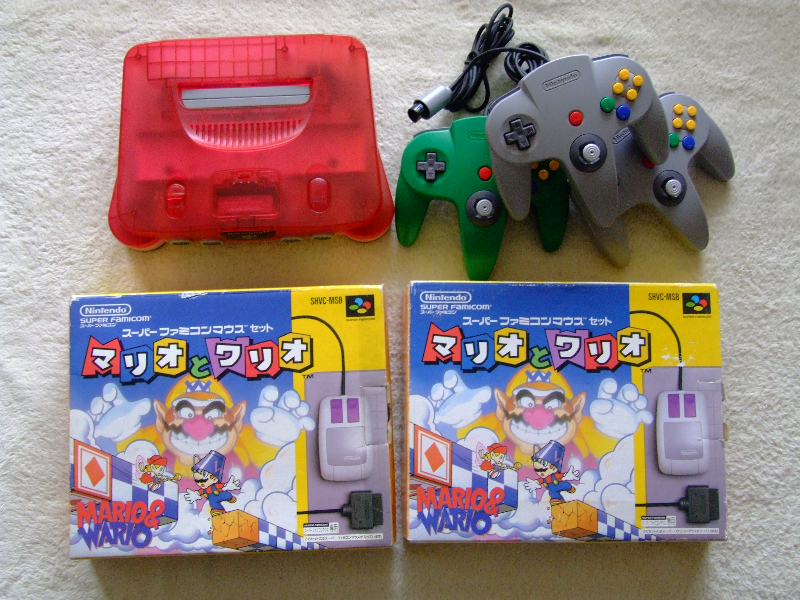 The only trouble was that the prices were insane – by Japanese standards of course. To give you an idea there was a very rough loose Megadrive with 50 titles (generic and beat up titles too) for around the $200 or 20,000yen mark. Over here that is crazy to pay for the same set. If there were a few nice games in there it might be different, but not for the lot they had there. I couldn’t resist picking up those N64 controller either. I get asked all the time for good ones, so now I have a few the next time people ask. They were cheap! Some of this stuff came from a Comp-Off and the rest was a Hard-Off. 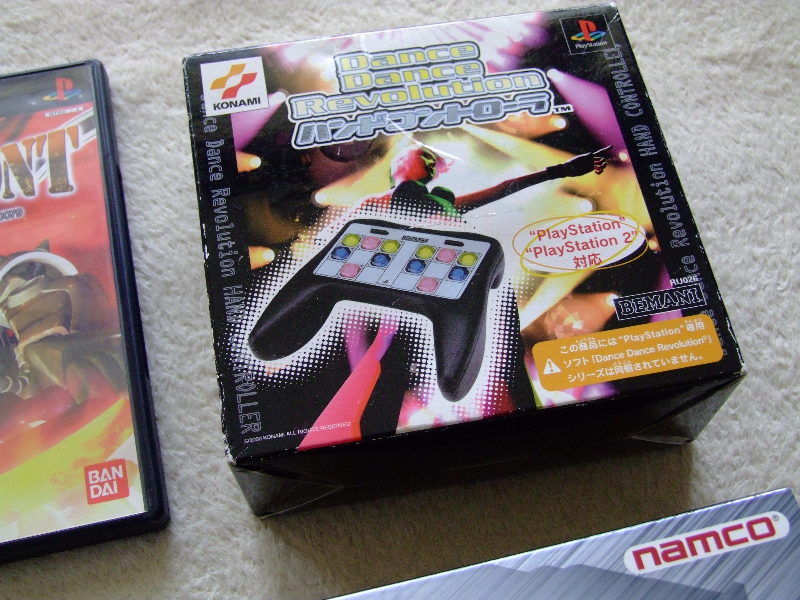 The pick of the group is that DDR controller, not because I am into the game, but mainly because I’d never seen one before. Although the box is a bit roughed up, upon opening it up I realised that it has never been used and it’s still sealed. Not sure if that is an indication of how great they are though of course, but either way it’s pretty cool to have found one. It was nice and cheap too, coming in at 500yen. That PS2 game there (on the left) is pretty interesting as well come to think of it – not because it’s a great game (actually I haven’t tried it out yet), but because of the name. Ever heard of: Bobobo-bo Bo-bobo Haji before? I sure haven’t! 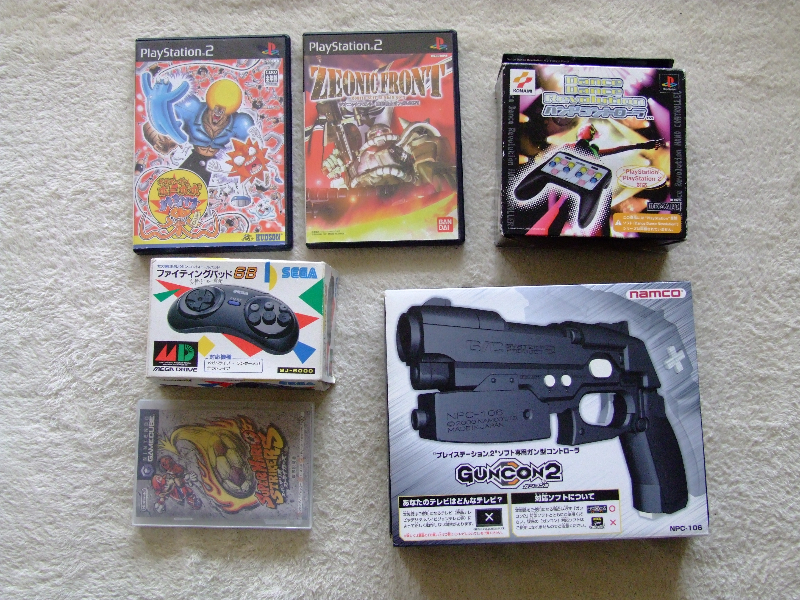 Pretty nice bunch of controllers – Capcom CPS sticks, PS2 VF Evolution sticks, and an out of place NeoGeo CD controller. These came from one of the Hard-Offs, and they were nice and cheap. Bought as ‘junk’, so either they have not been tested or they have some sort of trouble. Being that today is my last day away from official tasks it’s not looking good for me being able to try them out for a while. Still, cheap enough that I can’t complain either way. 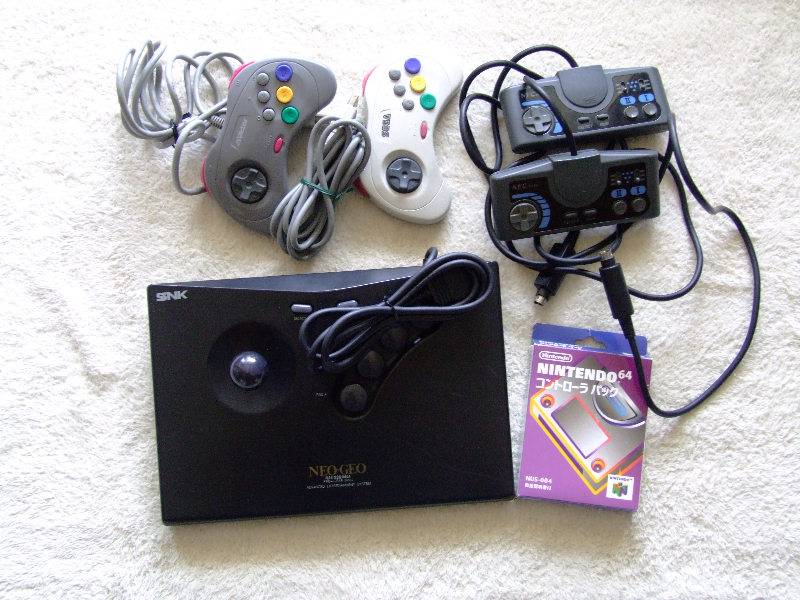 These two NeoGeo CD controller were bought from the last Hard-Off I went to – happy I found these to give the loose NGCD controller a bit of company. This shop was just off of route 329 if memory serves. 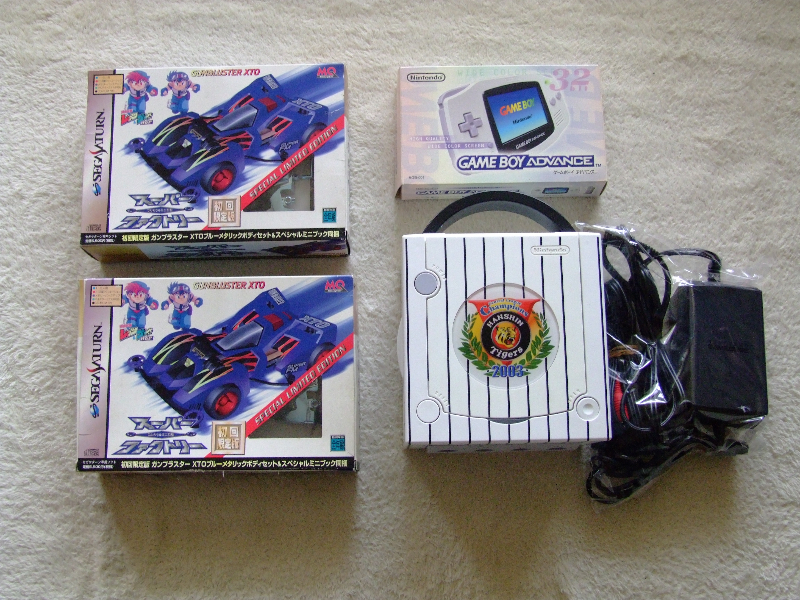 They were a little pricey, coming in at close to 2,000yen each, but boxed ones are few and far between. 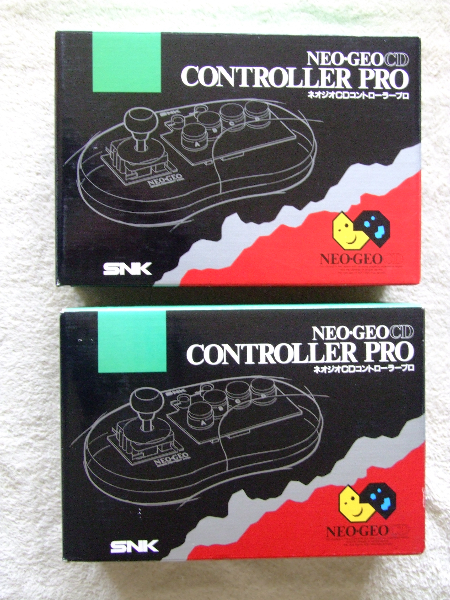 The prices for NeoGeo are shooting up like crazy all of the place though! 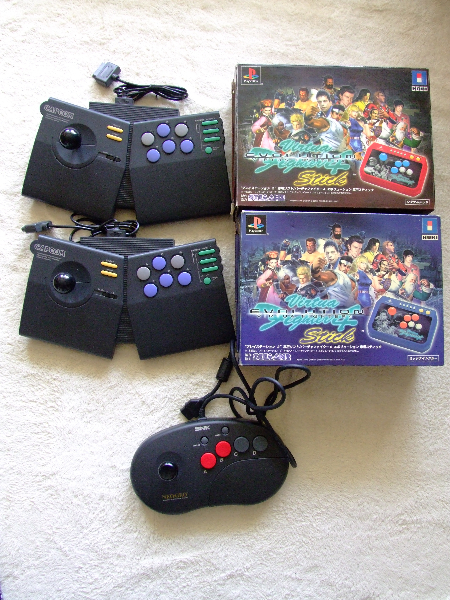 I saw a boxed top loading NeoGeo CD at the same place for 9,000yen, and it was only a few months ago that I would have gotten them for 2,000yen cheaper than that. OK, to be fair I didn’t grab this on the same trip, but I did grab this from one of the Hard-Offs at the start of Golden Week. 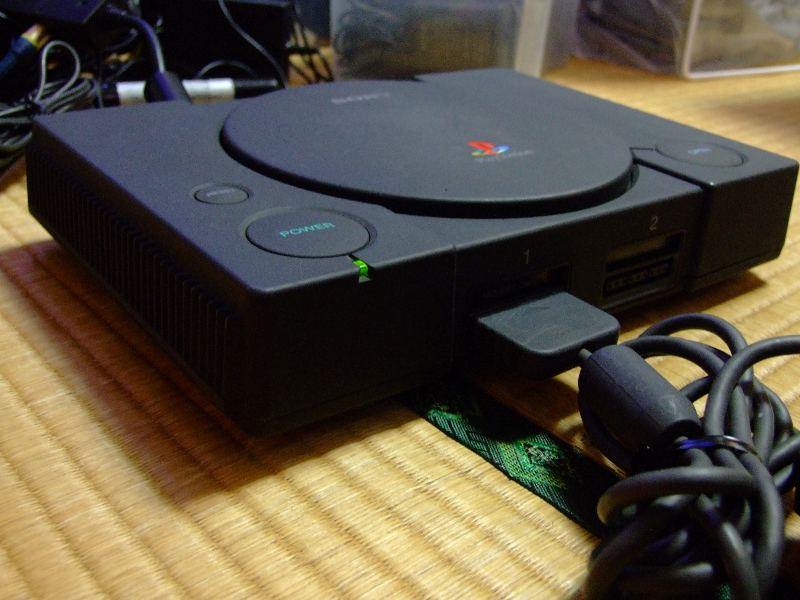 It’s a Playstation Net Yaroze for those that have never seen one before. I got this dirt cheap, as it was bought during the first Golden Week day sale at 30% off. The only trouble with it though is that the CD music playing cut in and out a little bit, which indicates that the laser mech might need a bit of a play with. Pity, but buying ‘junk’ means that things haven’t been tested fully. This was a good bunch of gear (for me anyway)! Two NeoGeo Pocket Colors for next to nothing, although the stick on one has a few cracks and they have a few scratches. 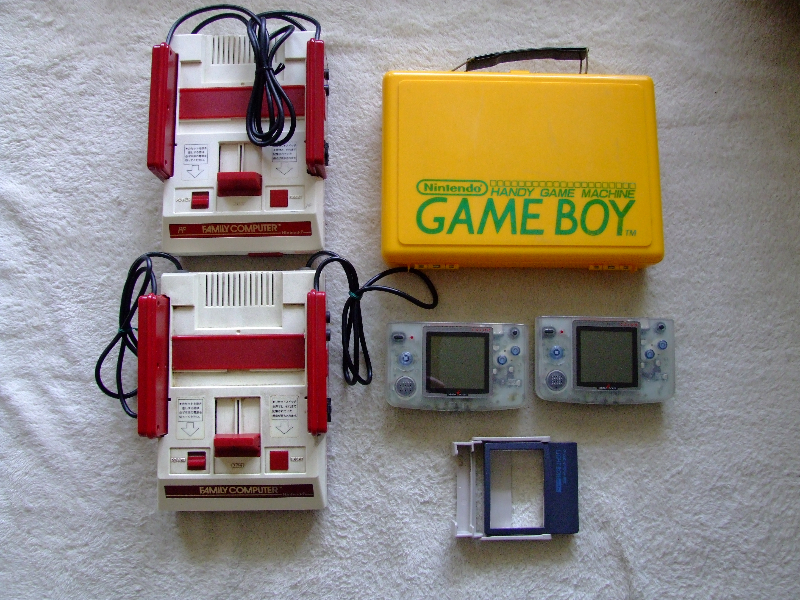 A very old Gameboy case, and a few Famicoms. All untested, but they were so cheap that even if they don’t fire up they will be good for parts. Well, that’s about it for this round. One of the great things was that doing this road trip allowed me to collect stamps that will lead to a 2,000yen discount next purchase. Kind of pays for fuel, and I can’t complain about that. These include GoogleMaps links etc., so they should be pretty easy to find for anyone that is interested.